Australia is a place which has everything a traveler wants like wildlife century, awesome spectacular places, diving destinations, adventure sports & great food. First of all, It’s one of the best destinations in the world who attracts everyone once in a lifetime to travel. If you have a plan to travel Australia for tourism, business, study or work then you have to get Australian visa first. Note: Keep in mind, if you are travelling to Australia then there is no facility of “visa on arrival” for Indian citizens. Before applying for Australia visa, applicants should be clear about their visa subclass under which they want to submit their visa application. Since September 1, 2015, Australia embassy stopped issuing sticker visa. Now applicant’s get visa approval on email visa embassy. Visitor Visa (subclass 600): It is issued to visit Australia for a short period of time. The purpose of applicant either tourism, business or visit family. Normally this visa is issued for 3 months, 6 months or 12 months. Transit Visa (Subclass 771): It is issued to those applicants who want to transit through Australia & no longer remain in Australia for more than 72 hours. Medical Treatment Visa (Subclass 602): It is issued to those applicants who want to travel Australia for medical treatment or consultation, donate organ or providing support to the person who in need of medical treatment. Student Visa(Subclass 500): It is exclusively issued to those applicants who wants to study in Australia on regular basis in a recognized educational institution. Original Passport with a minimum validity of 6 months from the date of departure. If applicant holds any old passport, attached old passport too. Notarised copy of all pages of current passport, including the bio data page, alterations page and back page of the passport. Duly signed & filled Form 1419 Application for a Visitor Visa – Tourist Visitor Stream. Two passport-sized photograph of the applicant having dimension 35mm x 45mm with white background with a matte finish. Cover letter – includes details of tour itinerary, passport, financials. If applicant is employed then it’s on plain paper or if self-employed then on company letterhead. Attach Copies of last 6 months bank statements (personal and business) showing a consistent savings history. Add additional copies of documents like FD, LIC, Shares, Properties, Mutual Fund, PPF which show any other funds or assets held. Copies of Taxation documents (ITR) for the last three years. A copy of the applicant’s ID card like PAN card or Aadhaar Card. If applicant is employed: Letter from your employer on company’s letterhead that stating your designation and salary, duration of employment, confirmation of your leave of absence & the person name and contact details of the who providing the letter. If the applicant is employed – a copy of his/her last 6 months salary slips. For self-employed applicant – Business registration proof like MOA, AOA, Partnership deed etc. institute & NOC for institution. If applicant is retired: Attach proof of your retirement – for example a letter or certificate from your employer. Copies of the applicant’s hotel accommodation & return flight reservations. Copies of the applicant’s itinerary giving travel details, accommodation and activities within Australia. 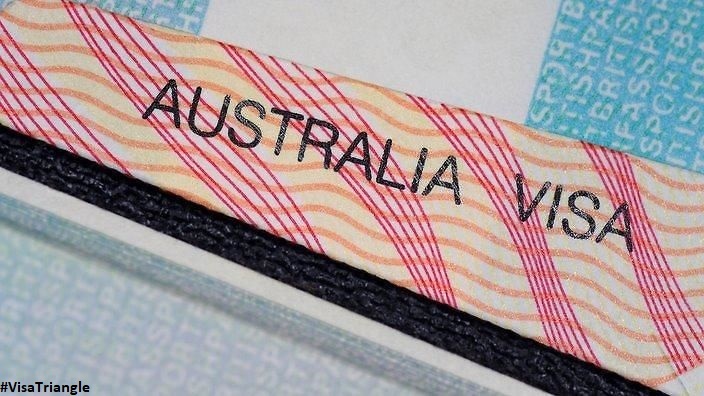 Children under 18 must provide a notarised ‘no objection certificate’ from any non accompanying parent authorising their travel to Australia along with copies of the parents’ passports. Duly signed & filled Visa Application Form of applicant. Cover letter – includes details of tour itinerary, passport, financials & work details. If applicant is employed then it’s on plain paper or if self-employed then on company letterhead. This letter should include contact details of both the business parties. Copies of Taxation documents (ITR) for the last three years of applicant. If applicant is self-employed: Business registration proof like MOA, AOA, Partnership deed etc. For employed applicant – a copy of his/her last 6 months salary slips. An invitation/request letter from the inviting Australian company or business. Duly signed & filled Australian Visa Application Form. Invitation Letter – If you are visiting family and friends provide an invitation letter having evidence of your relationship with the inviter and evidence of your inviter’s passport and status in Australia. Attach Copies of applicant last 6 months bank statements (personal and business) showing a consistent savings history. Additional docs of applicant like FD, LIC, Shares, Properties, Mutual Fund, PPF which show any other funds or assets held. If a friend/relative in Australia is paying for your visit then a Statutory Declaration stating the relative or friend’s support and evidence of their financial capacity to do so – for example a letter of invitation, bank statements and tax documents. Self-employed applicant – Business registration proof like MOA, AOA, Partnership deed etc. A copy of the applicant’s itinerary giving travel details, accommodation and activities within Australia including stays & flights. 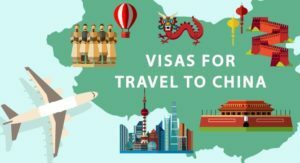 How to Apply Online Visa For Australia by Citizen of India? Do you know Australia provide online visa service for Indian citizen. It’s easy to use for applying Australian visa without any hassle. Choose Your Visa Type To Apply For – Before filling application form be clear about your purpose & visa type. Fill Visa Application Form Online – Now visa type is clear then fill application form. Online application form is consist of some basic questionnaire about your identity, travel history, financial status, purpose of visit, health etc. Note- Keep ready all the details handy to make it easy & less time consuming. Keep Required Documents Handy – Now application form is filled, applicant has to upload the supporting documents like travel itinerary like stay accommodations & flights reservations, financial documents, work experience certificate, IDs etc. Pay Australia e-Visa Fee – Application form almost completed, Now pay the visa fee online before submitting the form. Submit Australian Visa Application Form. Once the online visa application for Australia is submitted, an acknowledge notification of the application’s receipt will receive on applicant’s email. Now, applicant has to wait until the visa get approved. The next notification will received by applicant states if his/her visa get approved or rejected. Once the “Visa Grant Notice” is received, pay attention to its validity of the visa. Is it 1 year? 6 months? Or 3 months? Also, note the travel facility and check if it is for either single entry or multiple entries. Also, check the visa conditions and other entry requirements prior travelling to Australia. *For Fast Track Service – Priority Consideration an additional fee of AUD 1000 (INR 53,300) is applicable. *Fees updated effective from 1 January 2018 . We are sure, now you have a clear idea of how to apply visa for Australia from India. In case you have any query/questions related to Australian Visa, Let us know by dropping you comments or call us. We will love to share our experience with you.